Successfully Added PIR Motion Detection Camera - 10 IR LED Lights, 640x480 to your Shopping Cart. PIR Motion Detection Camera with 10 IR LED Lights, 640x480 resolution makes this a great and easy to use tool to boost any security. The infrared detector internally set in this PIR motion detection camera uses an advanced signal analyzing technique so that once someone or something enters through the area being covered by the infrared, the camera will automatically detect the activity and begin to record. 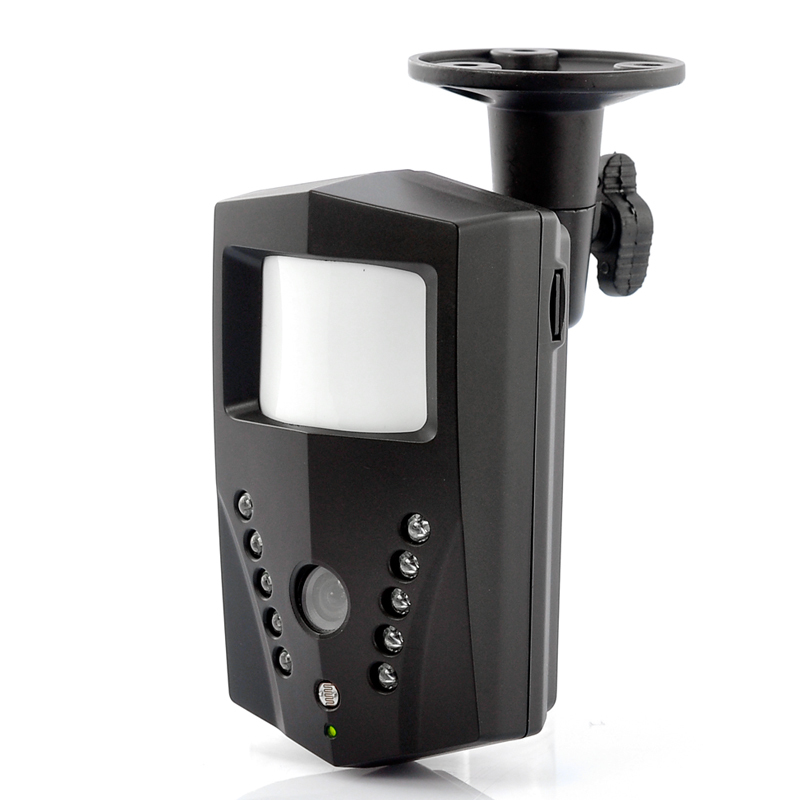 Each time motion is detected, the recorder will capture a 640x480 resolution video for 30 seconds, which is long enough for some decent footage but short enough to conserve storage space and battery power. Also this security camera features 10 infrared LED lights for accurate night vision of up to 7 meters. This PIR Motion Detection camera is easy to use and install as it comes with a mounted brackets, fixtures and screws for you to conveniently place in your desired location. This camera can be used in a variety of scenarios such as taking care of your children by monitoring your babysitter or nanny’s daily work or obtain video evidence of people entering and leaving your house. Other ideas include monitoring drawers and closets to make sure nobody is going through your possessions, installing in a small shop to keep an eye on the cash register and warehouse or to be used in the office to keep a detailed log of user actions on important documents or valuables. There is also a mini SD port that supports up to 32GB of recorded data as well as an AV cable therefore you can connect this PIR camera to a TV or monitor. 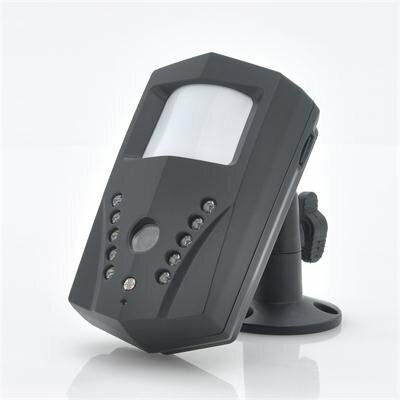 This PIR motion detector camera will enhance your security and also it can be used in a diverse ways for different environments. This product is in stock and can be dispatched within 24 hours of ordering with a 12 month warranty. Brought to you by the leaders in wholesale electronics and security gadgets, Chinavasion.